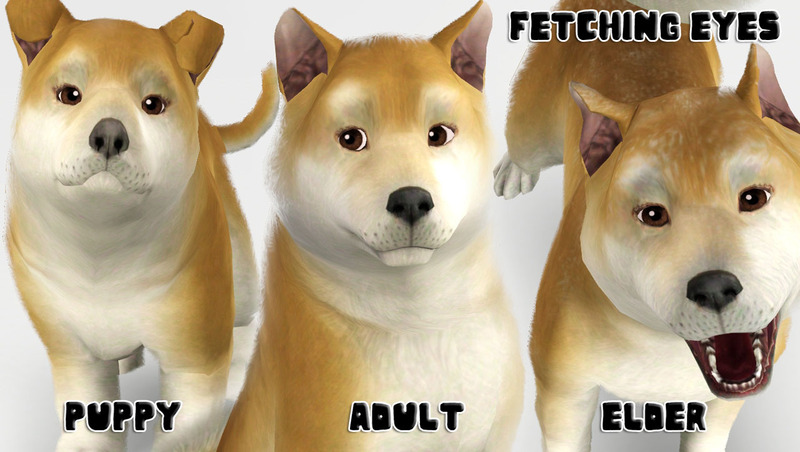 Of course I couldn’t forget the pups! They needed some desparate help with those horrifying black dots! 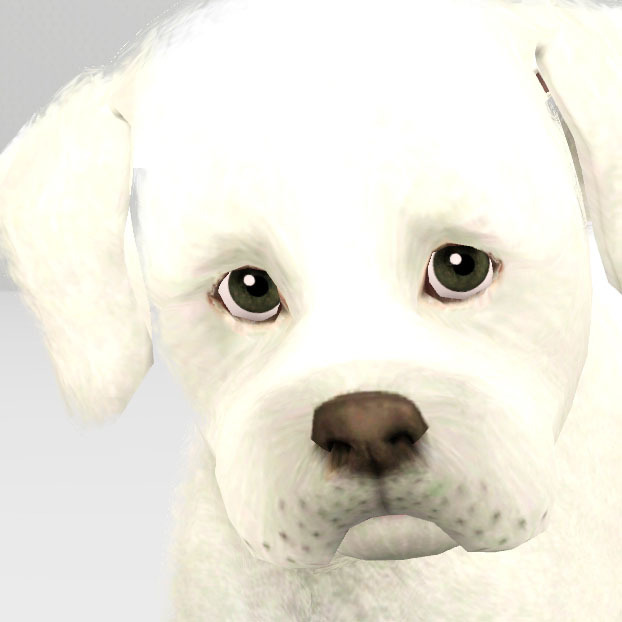 It also stunned me that EA hadn't mapped puppy eyes to be two toned, so I fixed that as well! 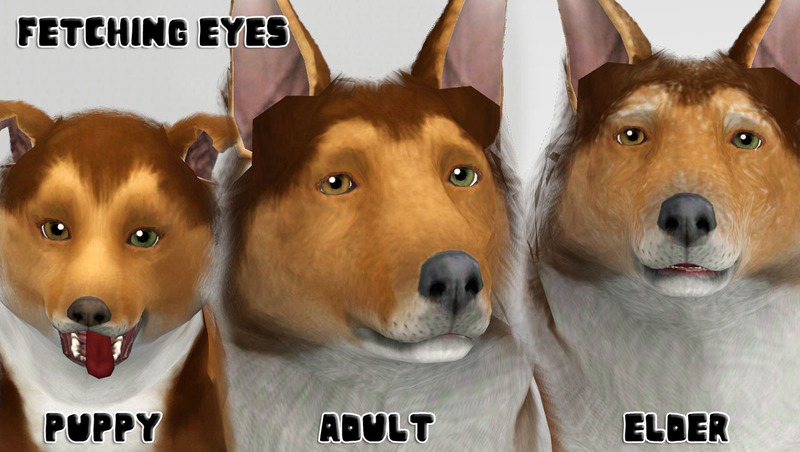 There is one variation of these eyes. It is called Fetching, and it is a pretty standard dog eye. There is a fair amount of detail in them. 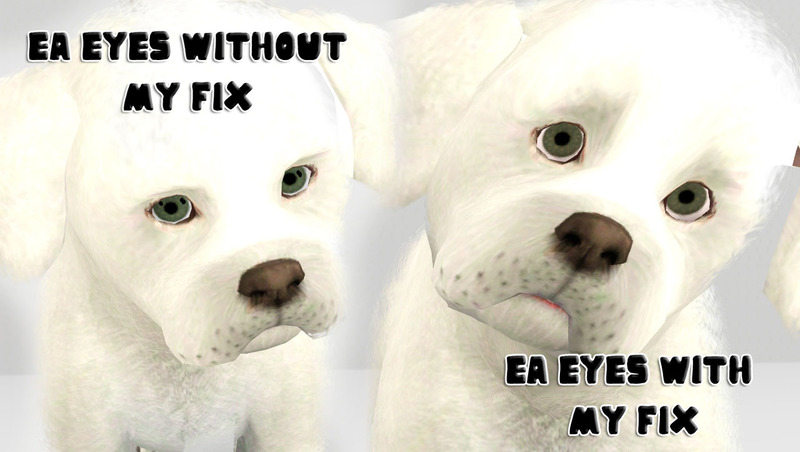 There is a second option, if you just want to fix your dogs black dots, but want to keep the EA eyes, then you will want the Dog Eye Fix. Just place one of the two choices in your packages folder. I would suggest NOT merging these because there may be updates etc. 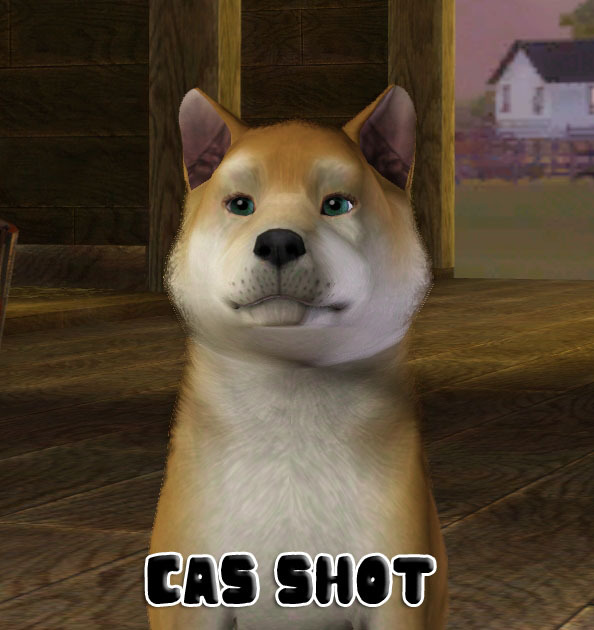 All variations work with two tone eyes and the regular 4 channel eyes. They are for puppy-elder dogs. Place any of these three files in your packages folder. 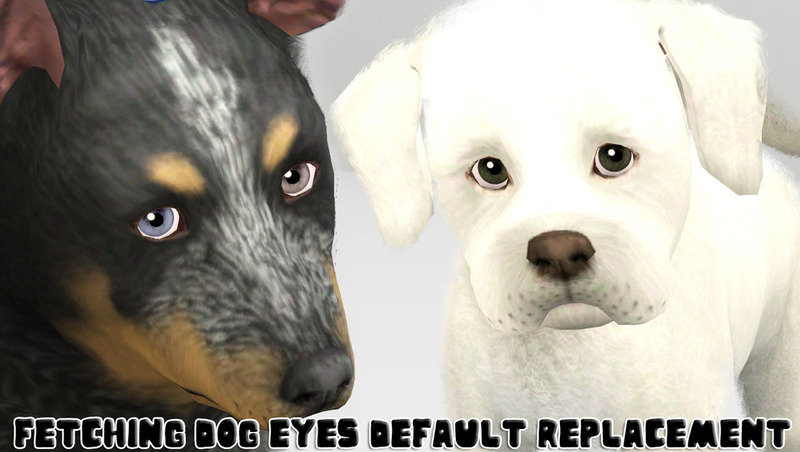 These will conflict with other mods that change dog eye meshes, dog eye textures, and dog overlays.